In 2017, Walnut View sold a total of 4 condos; 1 of which The Bouma Group was involved with. The sales increased by 1 condo compared to the previous year. Offers that were both above and below the listing price were accepted which shows negotiation between the buyers and sellers. $453,575. 1335 Nottington Ct., Ann Arbor. 1521 sq. 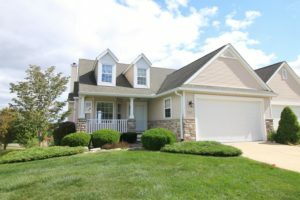 ft., + 1200 in finished lower level, 3 bedrooms and 3.0 baths. $366,000. 3275 Chamberlain Cir., Ann Arbor. 1401 sq. ft., + 900 in finished lower level, 2 bedrooms and 3.0 baths. $358,500. 1311 Nottington Ct., Ann Arbor. 1401 sq. ft., + 1000 in finished lower level, 4 bedrooms and 3.0 baths. Currently, the average sale price of condos at Walnut View is $383,519, which is an increase of 15% compared to the ASP in 2016. The average price per square foot for the 10 condos sold in 2017 is $267.00, which is also an increase of 15% in comparison to the A$/SF in the previous year. For more details and information about Walnut View, contact the condo specialists with The Bouma Group at (734)761-3060 or email info@bouma.com. View the previous market report for Walnut View here! 1,401 sq ft, with an additional 1,051 sq ft in finished lower level, 2 bedrooms and 3 full bathrooms. Living/dining room combo has built in shelving, with space for the television and all of your components, surrounding the gas fireplace. The eat-in kitchen offers white, bright cabinets with plenty of storage. Also on the main level is a spacious master suite that boasts 2 closets, master bathroom with dual sinks, as well as the second bedroom and an additional full bathroom. In the lower level you will find a large family room/recreational space with a wet bar and the 3rd full bathroom. Schedule a private showing today for 1327 Nottington Ct. – Contact The Bouma Group, Realtors at 734-761-3060. or by email info@bouma.com. View photos and amenities for Walnut View Condominiums. Walnut View is a small collection of spacious ranch style condos with full basements and attached garages. There are currently 0 units listed for sale and so far this year, 3 have sold. $362,000. 3238 Chamberlain Circle, Ann Arbor. 1515 sq. 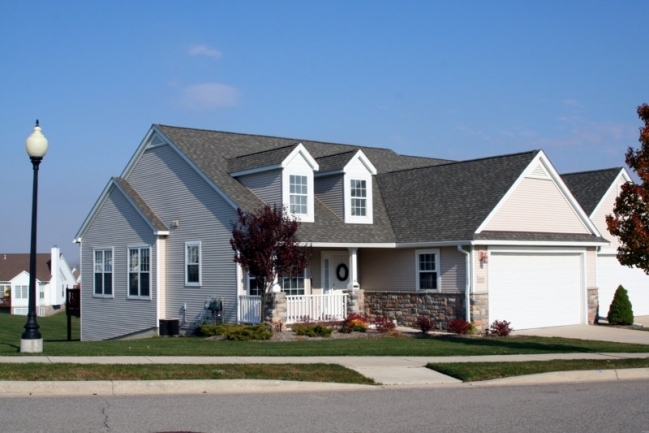 ft., +1200 in finished lower level, 3 bedrooms and 3 baths. $330,000. 3260 Chamberlain Circle, Ann Arbor. 1401 sq. ft., +1000 in finished lower level, 3 bedrooms and 3 baths. $310,000. 3226 Chamberlain Circle, Ann Arbor. 1401 square feet with 3 bedrooms and 3 baths. Last year at Walnut View, 1 condo sold with an average sale price of $310,000 and average price per square foot of $221.00. The 3 condos sold this year have an ASP of 336,000, up 8%, and an A$SF of $230.00, up 4%. 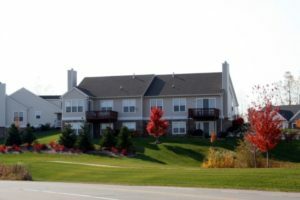 To learn more about condo values at Walnut View, contact the real estate specialists with The Bouma Group at 734-761-3060 or email info@bouma.com. View more Ann Arbor Condos here!